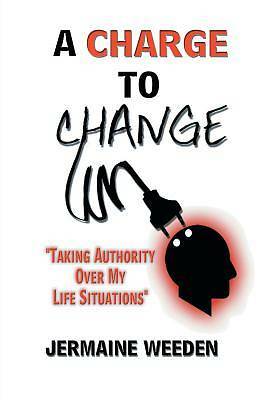 "taking Authority Over My Life Situations"
A Charge to Change is about empowering individuals with hope when faced with difficult changes that they face from time to time. This book will give spiritual references to apply to situations that seem hard as well as impossible while encouraging every individual to dig deep inside and change the perspective of ones mind into a positive and confident mind-set. A Charge to Change will bring a truth that changes are sometimes hard to deal with, but you will learn to find your strength during some of the changes that appear. I want every reader to know that there is definitely power on the inside, but it has to be tapped into in order to work.